Contractors hired to install Italian marble windowsills as part of a large-scale interior design will need to locate a bulk supply of material at wholesale prices. While many of the popular styles and color shades are available at Home Depot and other warehouse outlet stores, the best prices on premium quality marble are realized when the purchaser goes directly to the source. A manufacturer that also acts as an importer and distributor can offer realistic prices on full-pallet orders of ready-to-install windowsills. 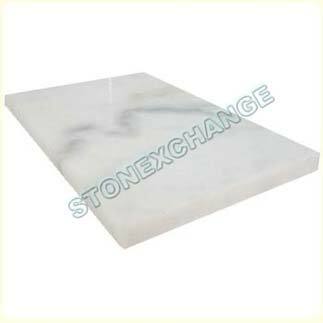 Stonexchange is an importer of marble sills, matching thresholds, and flooring tiles. Located in Miami, Florida, our company manufactures each and every product we sell. This means lower prices on top-of-the-line marble accessories for commercial clients nationwide. Because we oversee the importation and distribution of the products we manufacture, we are in an excellent position to make these finely crafted Italian marble windowsills available throughout the calendar year. If you need a large number of pieces to complete a new construction or renovation project, Stonexchange is the name to remember. Many distributors of natural stone building materials obtain their products from a variety of sources. The market is populated by brokers and resellers that have struck a deal with an overseas manufacturer. However, the material may be of inferior quality, and subsequent wholesale purchases may include product that was fabricated from raw materials at a completely different quarrying site. Stonexchange manufactures Italian marble sills from similarly textured material. Our company owns and/or has a partnership in the quarrying operations located in the Mediterranean region. Our customers enjoy top-quality manufactured products with guaranteed color/patterning match, each and every time they place an order with us. Our company’s Florida-based distribution center is filled to the rafters with crates of windowsills, ready for immediate shipment to the client’s address. As our inventory drops, our marketing team figures out the correct bulk for our next import process. The result is plenty of product whenever the customer needs it. Italian marble is, of course, a somewhat generic buzz phrase. For the most part, it refers to the styles of marble that replace or resemble the most commonly requested patterning and shading of natural stone taken from deposits in the northern regions of the Mediterranean. Most of the marble designated as Italian closely resembles the famous Bursa, Botticcino, or Carrara shades that have for centuries accented homes and businesses owned by the wealthy. Today, marble is more affordable than ever. This is mostly due to the bulk importation process that cuts down significantly on freight charges. Although marble is somewhat brittle if impacted sharply, tight-fitting containers packed with stone can be shipped with virtually no damage to the product. When purchasing marble from a direct importer and distributor, customers can expect perfectly matching shades and patterning between different products. The per-piece cost is actually less than what is offered by most home improvement store chains. Just as important is the consideration of product availability, and Stonexchange has solved this problem completely. Natural stone windowsills are flat pieces of rock that have been beveled and polished. The large blocks of marble taken from the quarrying site are delivered to a nearby fabrication center. The blocks are thinned into sheets, cut lengthwise into strips, and machine-beveled along the front edge. The strips are then polished, inspected for color and patterning, and packed into large ocean freight containers. Stonexchange oversees the entire operation of cutting, packing, and shipping our beautiful Italian marble windowsills, and our quality control team makes certain that our buyers obtain exactly the style of marble they request. Our company takes note of the industry trends with regards to product popularity. In the United States, medium-neutral shading is quite commonly seen in residential interiors. Likewise, Alabama or Georgia White marble – specifically white carrara shading – is favored in commercial design. Stonexchange offers premium quality marble sills that easily replace these existing sill shades. Standard lengths in the industry match the most common window frame sizes. Window frames are generally 37-inch, 56-inch, 60-inch, or 74-inch, slightly wider than the actual glass dimensions. Our manufacturing center cuts sills to perfectly match these frame dimensions. The sills are packed into crates containing either 50 or 100 individual pieces. These crates are then stacked into a larger shipping container and sent via transatlantic freight to our distribution center. Extremely large orders placed by our clients are often shipped directly from the fabrication center to the customer address. Stonexchange produces marble windowsills that are similar to and replace those specified as Italian Crema or Italian Carrara. We also manufacture an extremely dark granite sill that is the perfect replacement for any design calling for the use of Galaxy or China Black. All of our sills are inspected prior to packaging into delivery crates, meaning customers will be very pleased with the similarity of shading and patterning between individual sills. Crema Sahara Marfil is a cream/beige marble suitable for any design specifying a neutral shade. It is the perfect natural stone sill for residential interiors because it blends well with other medium tones. Most designers and architects favor this color because it allows for complete redecoration of the room’s interior at a later date. Our Crema Sahara Marfil windowsills are available in 37-inch, 60-inch, and 74-inch lengths. The standard thickness is 5/8-inch, and the sills contain a small, smoothed bevel along the front edge. These sills can be purchased in a variety of widths, with the longer, 74-inch sills manufactured in widths up to 10 inches. Nuevo White Carrara marble is one of Stonexchange’s biggest selling products. This is the industry standard for off-white natural stone. The marble is streaked with gray and has medium reflectivity. This is the marble style often seen in commercial buildings. It is used for steps, columns, and bathroom floors and countertops. Finding a good color match between tiles and windowsills is not a problem when purchasing Nuevo White Carrara from Stonexchange. This product closely resembles Alabama, Cherokee, and Vermont White marble. The Carrara White sills manufactured by our company are available in 37-inch, 56-inch, and 74-inch lengths. The standard thickness is 5/8-inch. Absolute Black Granite is the name given to our dark granite sill product. This stone contains very little speckling and is a close match to China Black granite. It is a natural granite stone that has a high degree of reflectivity. Our granite sills are available in all the standard lengths and widths. They can also be purchased with a bevel on both long sides. These specialized sills can therefore be used as a shower curb molding. Products similar to these can be purchased at Home Depot or other warehouse building supply outlet. However, the available stock may be much smaller than what a construction contractor requires for a large-scale project. Unless the order specifies non-standard sizes, Stonexchange can meet or beat the prices listed by the home improvement centers, and our inventory is sufficient to handle orders up to 2,000 pieces and more. Stonexchange specializes in windowsills, thresholds, and flooring tiles. In addition to our superior windowsills made from natural marble and granite, we also offer some of the finest quality travertine accessories. These include sills, thresholds, and shower stall tiles and soap shelves. Our thresholds and shower curbs are manufactured from raw material taken from the same deposits as the stone used for our windowsills. This means that our commercial customers need not go shopping about for a good shade/styling match between products. We guarantee satisfaction with regards to our shade match, and we can also mix the customer order to include the matching accessories. Because our company deals primarily with retail merchants and their commercial clients, our low prices naturally reflect bulk purchases. There are literally thousands of flooring product merchants in the United States, but very few of them can offer their customers windowsills and transition thresholds that are guaranteed to match the style and shade of the marble tiles displayed in their showroom. Stonexchange invites dealer inquiries. Our company will be happy to discuss ordering procedures for the purpose of supplying a dealer with material for commercial installers. Our product samples are available for ordering by flooring companies and building material retailers, and we can ship these sample products directly to the retail location. Stonexchange offers commercial clients the same variety of marble products as Home Depot, but our bulk ordering process means lower per-piece cost for the buyer. This is the solution many independent installers and construction subcontractors have been looking for. If you need premium quality Italian marble for your next construction or renovation project, contact us today and start enjoying honest wholesale pricing on the finest natural stone products.